Good morning my blog buddies, the sun's not quite up yet and I am thinking another cup of coffee is in order, smell the coffee hmmmm Okay the good news first, we are heading up to the farm after George's eye appointment this afternoon, so it going to be a very long day indeed. We won't be doing much up there as rain is expected over the weekend. But we do have a lot of stuff that needs to go up in preparation to us taking a full week off work. The generator is finally running properly again after a good service, a carborator service and replacing a cracked head which probably happened when George got the sh..s sorry upset with it cause it just would not start ... sure he felt like banging his own head on it a few times ... only joking. Main thing it's working again. 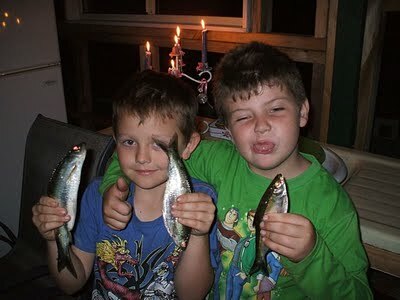 The boy's with their catch of the day, pic was taken last year sometime. I bought 7kgs of seed potatoes to plant from our produce store here in Sydney for when we are at the farm for the week. Too early to plant ATM due to frost, mid July I am told would be better. But the raised 3x3mtr boxes needs to be prepared and composted with some old chicken pellets. Still got 4 bags of mushroom compost I can take up. Need to get a few bales of hay to spread on top as well but that I can get up there. The extra fishing gear, gut, yabby traps and other small fishing stuff needs to go into the stockpile. Purchased some canning bottles 6 of size 31 and 6 of size 36 on Ebay at a really good price, it's a start getting proper bottles. Think I might stick to that size cause they both use 4 inch lids and rings. I used to just use recycle bottles. A bag of 48 toilet paper rolls,a slab of cans bake beans, coconut milk and 12 bottles of tomatoes sauce just to mention a few extra's I bought from Costco last week. New pink plastic washing baskets and 2 new small pink wheelie bins for the cat and dog food pellets and one for the bag of 25kg white sugar, I just had to get! I must say George is now starting to worry I want to kill him off with that sugar, but I did reassure the man he is worth having arround a little longer :)) Who buys Kirkland Iced tea powder? just wondering if it's any good, was at a great price so could not resist getting some Stockpile happening in the corner there. Now the bad news ...I candled the eggs in the incubator but they have not developed at all. Out of 38 eggs only 1 silky egg shows up dark while another has some darkness to it. They must have showed something by now as it's been two weeks already. Can't be that they are too old as some eggs where very fresh when I put them in. Only conclusion I can come to is Harry might not be doing his job properly. Decided to remove them and try again by replacing them with a few eggs I kept saved since Mr Fox did his dirty deed. Just maybe the last egg Bonnie layed could give us another silky. There are 18 eggs that I can replace them with. 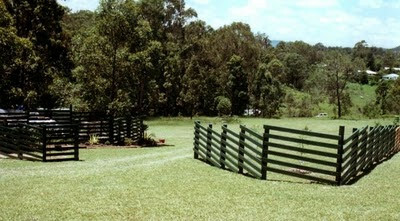 You sure have aload to go to the farm but a week off sounds good. Yes we are expecting rain all weekend too and it is rather cold here today. Men seem to get a little heavy handed when machinery don't work as it is supposed to:0) and seems it cost more to fix things then. I hope you do get some chickens out of the next lot of eggs.